Character apartment in the Pas de Calais. Villa of 240 m2 on 1830 m2 land. Pas-de-Calais is France's most northerly department. It is also the closest department to England and has a very similar climate to southern Britain. Its fine restaurants, great shops and charming towns make it popular with visitors from across the channel. The department has a rich maritime history, as is evident in its cuisine. Calais is the main gateway into France for tens of millions of visitors every year. The town centre is popular with visitors for its vibrant shopping scene. There are quite a few unique shops, too often missed by the average day-tripper, which are well worth seeking out. 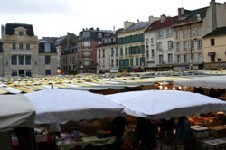 A market is held every Saturday. Arras is the capital of the department and is often used as a base for people visiting the historical battleground sites of the Somme. It is thought to be one of the most beautiful towns in France due to its Arcadian architecture incorporating Flemish styles. The stone that was used to construct the town was dug from right underneath it leaving a massive underground network of chambers. St-Omer is a quiet town, surrounded by a network of canals. Its Basilica, dating from the 13th to 15th centuries, is remarkable, not least for being the only Gothic church in the region. The town is often considered to be the first truly French town you come across after arriving in Calais. It has been fought over by various powers throughout its history. Le Tourquet-Paris-Plage lives up to its name as the most popular destination for Parisian bathers. The beaches back onto an affluent and architecturally diverse town dotted with pine trees. Montreuil, not too far away from Le Touquet, is a peaceful town with fine views from its position on the edge of a plateau. Most of the buildings date from the 17th and 18th centuries. The weaving maze of narrow streets that make up the town are encircled by ramparts. The setting has not changed much since Victor Hugo wrote Les Misérables and set part of it here. Access from the UK is incredibly easy, whether you are travelling by way of the Channel Tunnel or by ferry. The rise of cheap airlines has also benefited the region. You can fly to Paris Beauvais or Le Touquet. The stable market is forecast to take off in the near future due to increased investment by the French government in the region. 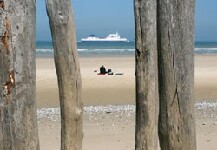 The rental market is mainly centred around Le Touquet. Do you know Pas-de-Calais better than we do? Do you have photos of Pas-de-Calais? Pas-de-Calais is located in the west of the Nord-Pas-de-Calais region of northeastern France.